I am an ethnographer of digital technology with four years of experience leading UX research projects in the technology industry. Currently, I am finishing my PhD in Science and Technology Studies while living in Berkeley, California. 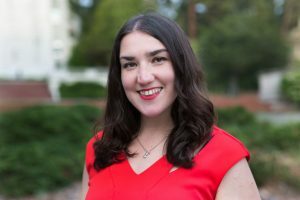 I am a 2019 fellow at the Center for Technology, Society, & Policy at UC Berkeley, and a Contributing Editor to the CASTAC blog. My dissertation research explores the cultural significance of popular meditation apps such as Headspace, Calm, and Insight Timer, analyzing how these tools construct and reflect contemporary understandings of mental health in the digital age. I currently freelance as a user experience researcher, and am comfortable planning and executing complex research projects independently—as well as collaborating with others and teaching research best-practices to teams who are new to UX.